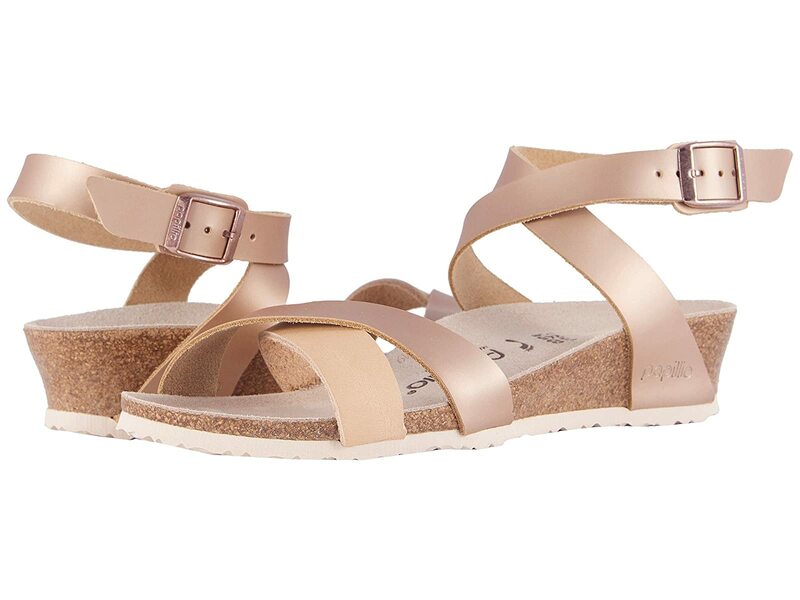 The Birkenstock® Lola wedge sandal brings a sense of freedom and adventure to your wardrobe! Halo-strap buckle closure secures foot in place. Upper is constructed of supple premium leather. Open-toe design with gladiator-strap styling. Leather-lined anatomically correct cork footbed, crafted from cork that is 100% renewable and sustainable, encourages foot health. Dual-layer jute: top wicks away moisture while the bottom adds strength and makes resoling easy. Product measurements were taken using size 38 (US Women's 7-7.5), width Narrow. Please note that measurements may vary by size.